New Warriors #12 (Published by Marvel Comics; Review by Draven Katayama; ‘Rama Rating: 7 out of 10): Justice’s association with the New Warriors often relegates him to a “Junior Avenger” status, but Yost and Burnham give him amped-up powers here on par with more famous heroes. 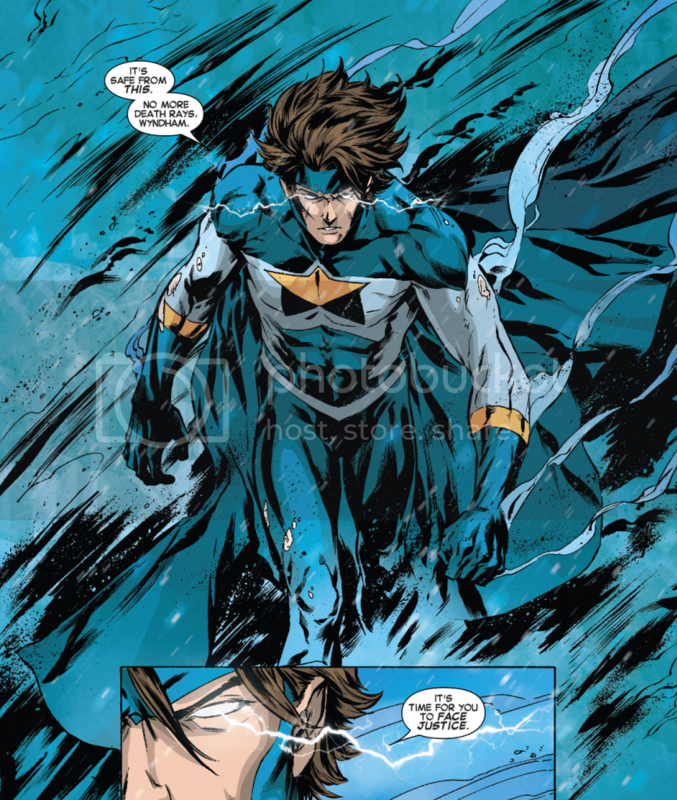 Justice’s characterization is almost humorously consistent: during climactic battle, he calmly tells the antagonist, “You’ve been misled.” Other characters fade to the background, though: Sun Girl speaks only one line, and Mark Sim says nothing at all. Redmond’s colors, particularly Sun Girl’s signature outfit, again prove to be one of the most defining legacies of this book. While this series finale skimps on conversation between team members, Yost’s assembly of new (Mark) and deepened (Sun Girl, Hummingbird) characters is one of the most creative, oddball, and entertaining superhero teams. I hope they return, together.